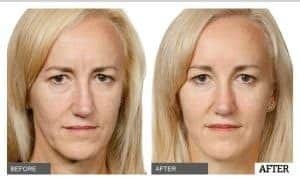 This is a non surgical face lift done with contouring filters. The dermal fillers used at Prof. Dr. Ikram Ullah Khan Skin Clinic are all FDA approved. Is a skin allergy test done before performing the filler procedure? No skin test is done before treatment as the hyaluronic acid used in the filler is not extracted from animal sources. Hence cannot elicit allergic reactions in a patient. Does if hurt during the procedure? No. Because before starting the procedure, we apply topical anesthetic to patient’s skin which makes the skin numb. How long does it take for the procedure to complete? It varies from 10 to 30 min on average. This also varies from 9-15 months on average. 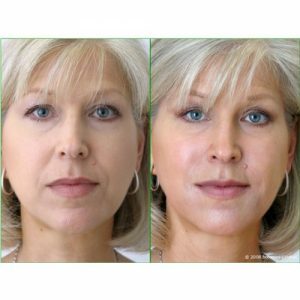 Results after the filler procedure are final or toush up session is required? Although we inform the patient that the treatment may not give him/her the final result depending on the extent of injection related swelling. However, touch-up treatment is necessary to achieve full correction after about 1-4 weeks. Erytherma, swelling, pain, bruising or tenderness at the implant site are common side effects. Nevertheless, these can be mild to moderate and typically resolve a few days after the filler procedure.